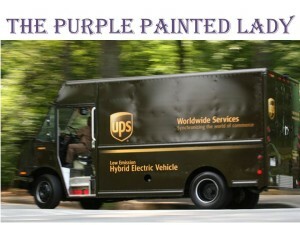 Do you get as excited as I do when I see that big brown UPS truck pull into my driveway? Or perhaps it is a white truck if having something delivered via FedX. Especially when waiting for your Chalk Paint® order to arrive. Keep in mind- any time you use a product- be it paint, hairspray, perfume…temperature and humidity can impact its performance. When it is COLD across North America – I would caution you to NOT paint in your garage or outside. (in fact- let me stress that again- DO NOT STORE PAINT / LACQUER PRODUCTS ANYWHERE THERE IS POTENTIAL THEY CAN FREEZE! )And the same can be expressed for painting in the heat. It causes the paint to dryer faster than it already does. So, be aware of this and always paint and store products in reasonable temperatures, no matter what product line you are using. This is important also when it comes to paint deliveries. As soon as you get home- if a box was left for you outside on a porch or garage…get it in to room temperatures ASAP. Don’t panic! Give your product a good 24 hours to get acclimated to room temperatures before opening or shaking. This applies to BOTH heat and cold. When it is hot- it is primarily the wax you want to re-solidify. If it is extremely soft- IT IS OKAY! But let it get to room temperature on its own. And when it is sold- let the paint and wax- get to room temperature again- on its own! Patience is a virtue here and allow the product to truly get to room temperature on its own. For when it is extremely hot- something to consider is that one of the components of Annie’s wax and Miss Mustard Seed’s wax is bee’s wax. Bee’s wax has a relatively LOW melting point range of 144 to 147 °F. I have never done a study- but the back of the big brown UPS trucks are not air conditioned and I am sure they can get pretty warm! So, when it is hot- do not try to expedite the process by placing it in the freezer. Or- for when we get back to the winter months- do not try to expedite the process by heating it up somehow. Be patient and allow it to get to room temperature naturally! (this information also applies also in the opposite extreme- meaning – hot temperatures. )When it comes to painting in extreme hot temperatures – ….it causes the water in the paint to evaporate too quickly. This can lead to a “crackle” like finish on parts of your piece. That could be great, if you want your piece to have a crackle finish…but terrible, if that is not the end result you were looking for. You want to paint and wax your pieces in ambient temperature … that range could be between 55 – 85 degrees. Although at the lowest and highest end of that range- you still need to be cautious. 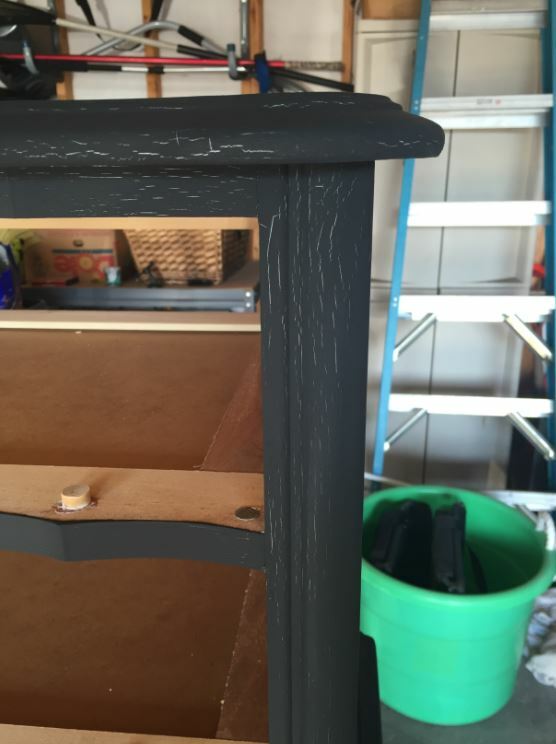 Also, as you may be aware- Chalk Paint® is a bit thicker in comparison to some paints. You do not want your paint to become thicker in the quart due to it drying or water evaporating. If for some reason – this does happen. Add a small amount of water and incorporate totally to determine if more is needed. You can always add more water, but if you add too much- you are stuck. : ) So keep this in mind when painting and the phone rings. Cover your paint before getting lost in a 30 minute phone conversation. I like to share with my female customers in my NY store, the analogy of if you left hairspray in your car over night in the winter when we can have temperatures in the teen’s here, you would not expect it to perform. Paint and wax are no exception. Make sure that your furniture that you are going to paint is at room temperature also. A little heater placed in your garage and running only when you are out there – is not adequate at all! True story…..it was September here in western NY and still quite hot out for many of us. We had a customer, Jenn (who I go to church with I might add) – and she had an issue with crackle happening while painting with Graphite. See how the cracks happen all along her brush strokes…and note she was painting in an open garage. As soon as I saw her photo – I reminded her that when using CHALK PAINT, the high temperatures and lack of moisture in the air can play into a successful outcome. So I advised her to move the piece into the house and add a little water (or distilled water) to some of her paint. I assured her – this would remedy her issue- and it did! I love what she did to the side of the drawers! Annie Sloan would be proud of you, Jenn! I think you will find depending on who you speak to- there will be a different response on which product is best for cleaning. Before I share how what I prefer to clean- the most important thing to know- is that after cleaning- wipe your piece down with a fresh water rinse. It is important that there is no residual cleaning agent left or it can repel the paint or cause it to crackle. As for us- we prefer to use either odorless Mineral Spirits or Krud Kutter. Again- remember to do a fresh water rinse when it is finished. 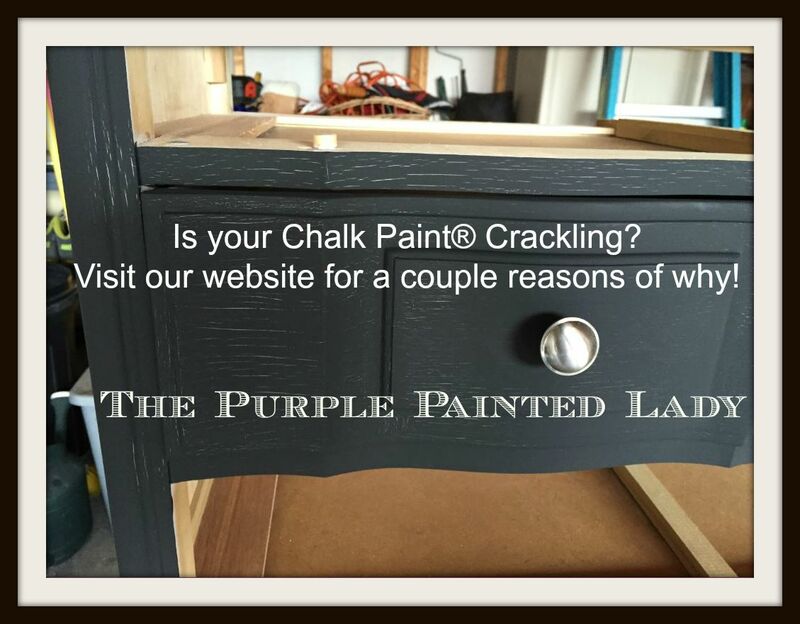 This entry was posted in How To and tagged cold, crackle, crackling of paint, heat, storage, temperature by Tricia. Bookmark the permalink.